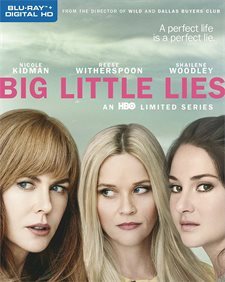 Download Big Little Lies in Digital HD from the iTunes store. 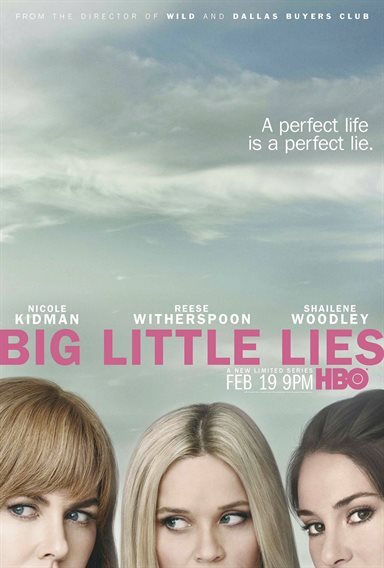 Big Little Lies images are © HBO. All Rights Reserved. HBO is on a roll. Most of their shows and documentaries are excellent productions that win awards and critical praise. Of course, I'm sure it's easier to create top quality work when only 7-13 episodes are being produced but the production quality is top rate nonetheless. One of their latest endeavors is a seven part miniseries called Big Little Lies. With amazing production value and an all-star cast including two Oscar winners, it is a show that is worthy of your time. Monterey is a beautiful coastal town full of rich, successful people. Otter Bay Elementary is the public school everyone wants to send their children to but, of course, within a wealthy neighborhood, there is always the typical moms creating all the drama. There are the stay at home moms who go to breakfast to gossip about everyone after dropping their children off at school, the high-powered working moms who are looked down upon by the stay at homes but who would probably eat one of the stay at homes for lunch and there are those who really don't belong but live in the neighborhood simply to send their kids to the best schools. We meet all these women in the first episode. Madeline (Reese Witherspoon; Walk the Line) is the stay at home mom whose teenage daughter likes her stepmom more and whose younger daughter is growing up right before her eyes. Then there is Celeste (Nicole Kidman; The Hours) who used to be a career woman but who now stays at home with her twin sons and endures an abusive husband (Alexander Skarsgard; True Blood). And finally, there is Jane (Shailene Woodley; The Divergent Series) who is a poor single mom that really doesn't fit in (and who harbors a dark secret). As the series progresses, we learn more about these women as each of them are potential suspects in a murder investigation. Each individual in this town has their secrets it seems and what outwardly looks like a nice rich neighborhood, hides dark and terrible things (as is typical in these types of plots). Creator and veteran writer David E. Kelley (Ally McBeal, Boston Legal) once again lends his expertise and talent to a phenomenal script punctuated by gossip, jealousy, and unhappiness. His ability to simultaneously make you loathe and pity a character is astounding and the audience is drawn in within the first thirty minutes of the show. His name is synonymous with quality and Big Little Lies is no exception. The cast is outstanding with Witherspoon, Kidman and Woodley steering this ship through troubled waters beautifully. They navigate each scene as if their lives depended on it and they deliver. Skarsgard, Zoe Kravits (Divergent), Adam Scott (Parks and Recreation) and Laura Dern (Jurassic Park) support the leading ladies extremely well and have terrific performances of their own. I think part of the reason this show succeeds is because of the talented actors that were chosen. The Blu-ray is presented in the standard 1080p video quality with a 1.78:1 aspect ratio. The beautiful scenery lends itself to the medium and the colors are sharp and vibrant. The juxtaposition between the darkness of the plot and the lightness of the actual background is noticeable…such beauty surrounding such ugly people. The DTS-HD Master audio 5.1 is clean with the dialogue in the center channel and the ambiance noises clearly on the surrounding channels. The combo pack has the Blu-ray, Digital code and a few extras including Inside the Episodes for all 7 episode and a 7 minute behind the scenes called About Big Little Lies. With a good old fashioned "whodunit" plot surrounded by narcissistic people and their spoiled children, Big Little Lies offers quality entertainment that we have come to expect from HBO. This is one show that should not be missed.